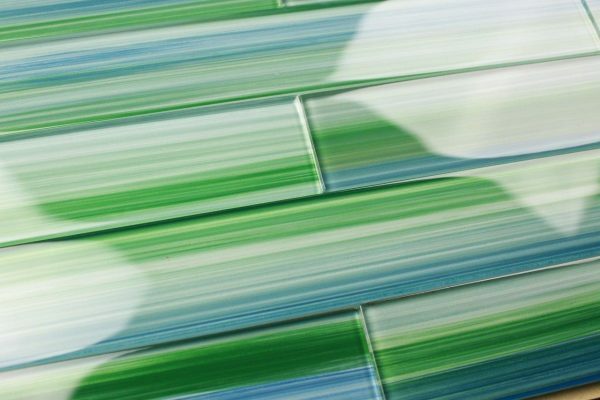 This hand painted blue green glass subway tile has a bright and energetic look. 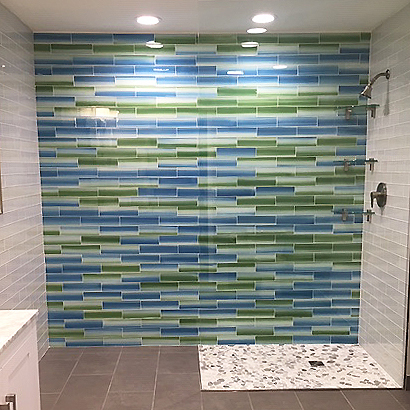 Bold greens and playful blues work together for an active tile. Nice and lively, this brightly colored blue green glass subway tile is perfect for a nice touch to your bathroom. Bold blues and punchy greens mix for an attractive feature color. Hand painted for a unique look this tile is very suitable on a feature wall, or just as a trim. A very attractive subway tile that provides an overall look that is very impressive. These tiles are packaged individually for maximum versatility when designing your kitchen or bathroom renovation.